Do you want to learn more on Taurus and Gemini compatibility? Then you have just come to the right place. Check it out. A couple formed by Taurus and Gemini can have some chances of success. Let us say they have an average compatibility level. But before checking the compatibility, learn a bit more about each of these signs. Taurus is a sentimentally stable sign and does not like to change partners frequently. On the other hand, Gemini have more of a changeable nature and need constant changes in their relationships to feel happy. This might actually cause some issues here. Taurus is of the element of Earth and Gemini from the element of Air. This means that the Air partner stokes up the partner from the Earth element and when this happens, they simply don’t know when to stop. Only when they are exhausted and for what? What do they gain from that? Nothing. They have many difficulties settling which is mainly due to their inability to grow roots together. 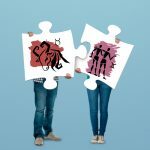 Taurus and Gemini compatibility: how will the relationship work? Taurus is a very stable emotional sign that easily surrenders to his partner giving much love and affection. Gemini is quite the opposite. It is unstable and needs a lively sentimental life to exceed his expectations. This difference between Taurus and Gemini can bring many obstacles to the couple, mainly because their relationship ideals are quite different. Taurus will not accept being another one in Gemini’s long list of love affairs. He wants more, he wants stability. Besides that, as Taurus is a sign very connected to family and wants to have its own family and build a home, he needs his partner to offer this kind of security. On the other hand, Gemini is very intelligent, by the influence of Mercury. His intellectuality causes pleasure to Taurus, who loves everything related to the arts and culture. Gemini is a very communicative sign and he’s usually the center of attention in his group of friends. Also, due to its ease in communication and in making new friends, Gemini has a very wide branch of personal relationships. Taurus is very sociable and loves to integrate into society. But when Taurus begins to defend an idea, is quite persistent and stubborn. This characteristic of Taurus annoys Gemini, who always has new ideas to add to the relationship. If this couple wants to stay together, they will have to work a lot on several topics to make it happen. The intimacy of Taurus is characterized by high level of sensuality that manages to attract the tireless Gemini. The couple formed by Taurus and Gemini will have to assume the position of each one within the relationship. Gemini likes to try various partners and Taurus is not willing to share his partner. This will bring out Taurus’s insecurities and jealousy. It is quite important that both partners clarify their true intentions within the relationship, so that nobody gets hurt.